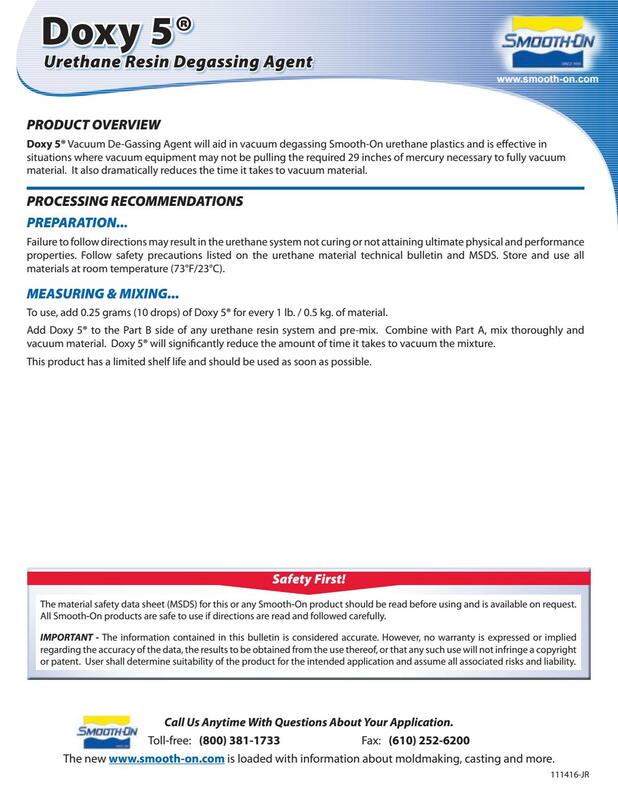 Doxy 5® Vacuum De-Gassing (anti-foaming) Agent will aid in vacuum degassing Smooth-On urethane plastics and is effective in situations where vacuum equipment may not be pulling the required 29 inches of mercury necessary to fully vacuum material. It also dramatically reduces the time it takes to vacuum material. PREPARATION - Failure to follow directions may result in the urethane system not curing or not attaining ultimate physical and performance properties. 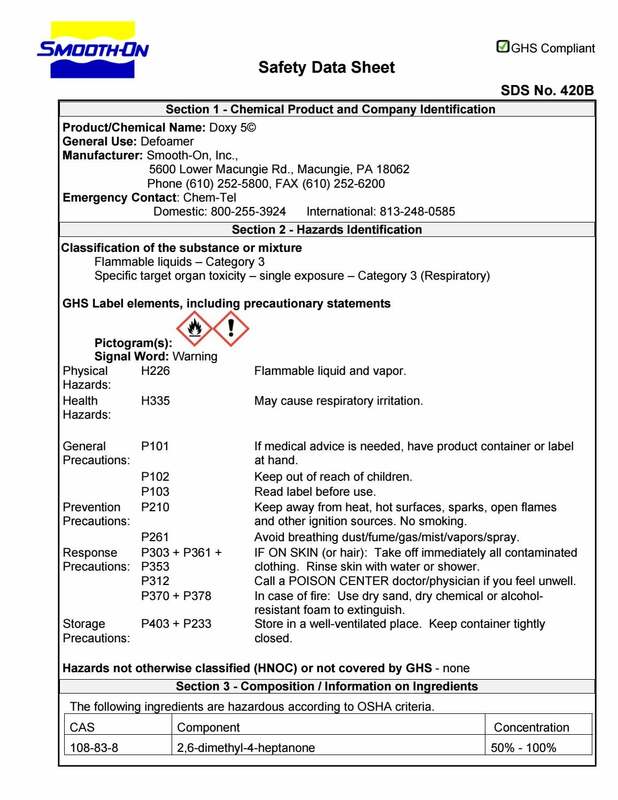 Follow safety precautions listed on the urethane material technical bulletin and SDS. Store and use all materials at room temperature (73°F/23°C). MEASURING & MIXING - To use, add 0.25 grams (10 drops) of Doxy 5® for every 1 lb. / 0.5 kg. of material. Add Doxy 5® to the Part B side of any urethane resin system and pre-mix. Combine with Part A, mix thoroughly and vacuum material. Doxy 5® will significantly reduce the amount of time it takes to vacuum the mixture. This product has a limited shelf life after opening and should be used as soon as possible.